We all know the Drink Tap Water campaign. Most bottled water is really just tap water put through chemical filters and placed in a water bottle, so to reduce the environmental impact drink tap water. Campaigns such as these are push strategies – trying to get the consumer to change behaviour through either rational or emotional triggers. There are the occasional few however who try to make this campaign a pull strategy where consumers want to change beheviour and demand companies to supply them with what they want (See Re:Factory Water Bottles). Pull strategies come down to design and functionality. If its pretty we want it and if it works thats even better. Think iPad (sorry Apple) but we want it because its beautifully designed when in fact its just a bigger iPad touch. 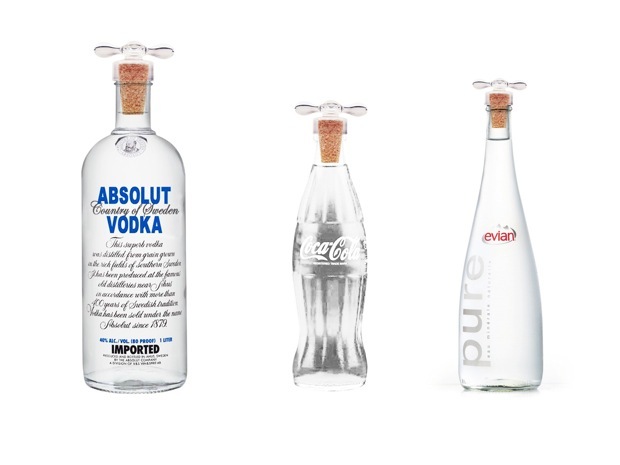 Junggi Sung redesigned the above reusable glass bottle. You have to admit its pretty but what really makes this design work is the topper. The topper is the same as a tap’s. Its a creative fun twist on a design we already know. When a familiar product is redesigned its automatic news for publicity. Can you redesign something we all know and yet maintain something that is still familiar? Creative twists are what make for good publicity.